Letters From A Tapehead: Six Organs of Admittance: "Adoration Song"
Six Organs of Admittance: "Adoration Song"
All information on the release, tour dates, and links were provided by Rarely Unable PR. Burning the Threshold was released on 2.24 via Drag City. 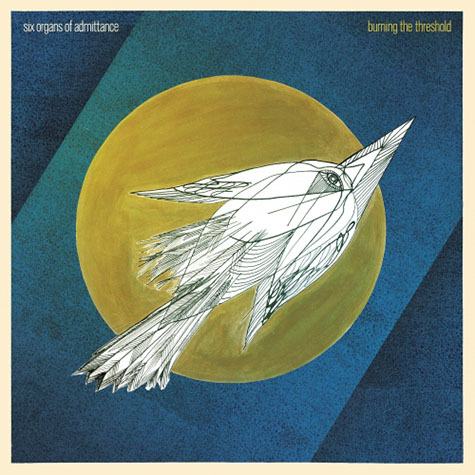 On the cusp of two full decades of music-making, Six Organs of Admittance has ridden winds and waves spanning passion and logic and myth. The brand-new full length, Burning the Threshold, exudes a warmth not always found in Ben Chasny's music - but that's how life works, taking us up and down over time. Ben's records have charted that passage, making his arrival at this seemingly sweet moment a special pleasure, and as always, a magic and musical one as well. It is now available for all to hear via vinyl, CD, cassette and digital files, with US tour dates starting in less than a week. What more can Ben Chasny do? Well, how about a brand new music video to unveil in anticipation of his forthcoming tour? Done! WATCH THE ELISA AMBROGIO DIRECTED VIDEO FOR "ADORATION SONG"
For the first music video and third single from Burning The Threshold, "Adoration Song" enervates and elevates ones mind, with images of the raw majesty of nature and haunting reminders of the unknowable. Directed by Elisa Ambrogio, the sun hangs over the moss and lichen, the cliffs and sandy shores of wintery northern California. Ben's melody and lyrics work as layers with the sharp focus and gauzy allegorical bent of the video, which features Ben as elephant man, a remote wanderer fearful of the world around him, until he removes his sheath, obtains the third eye and rises up, to become a part of the natural world, moving forward with two sets of footprints in the sand behind him.